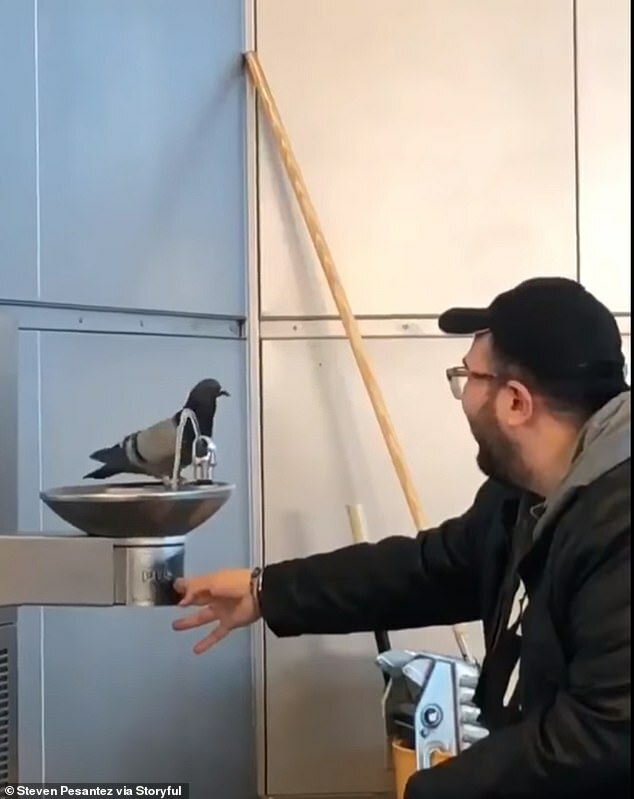 A pigeon was able to enjoy a drink of water thanks to the help of a passer-by who realized the bird wanted something more. 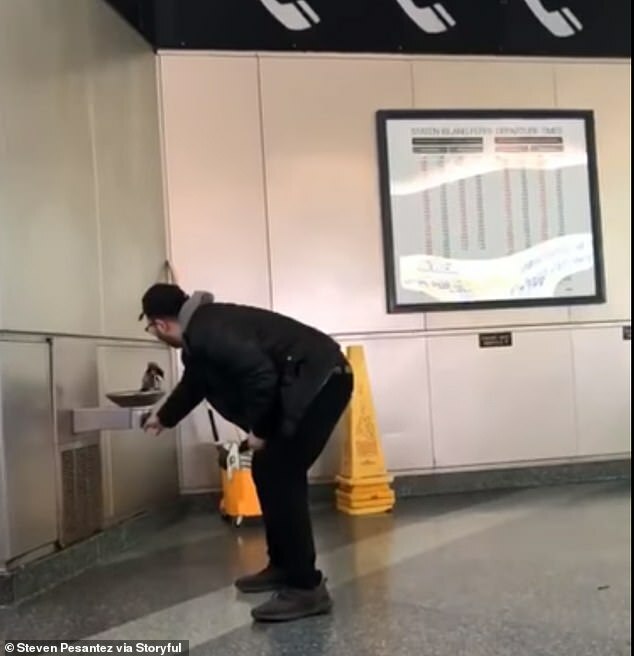 Steven Pesantez, 25, noticed a pigeon lingering around a public water fountain while waiting for the Staten Island Ferry in New York. Thinking the bird might be thirsty, Pesantez walked over to the corner and pressed the water fountain’s button to give it a refreshing drink. To his amazement, no sooner had the water started flowing, the bird stuck its beak into the flow and began to take sips from the stream. 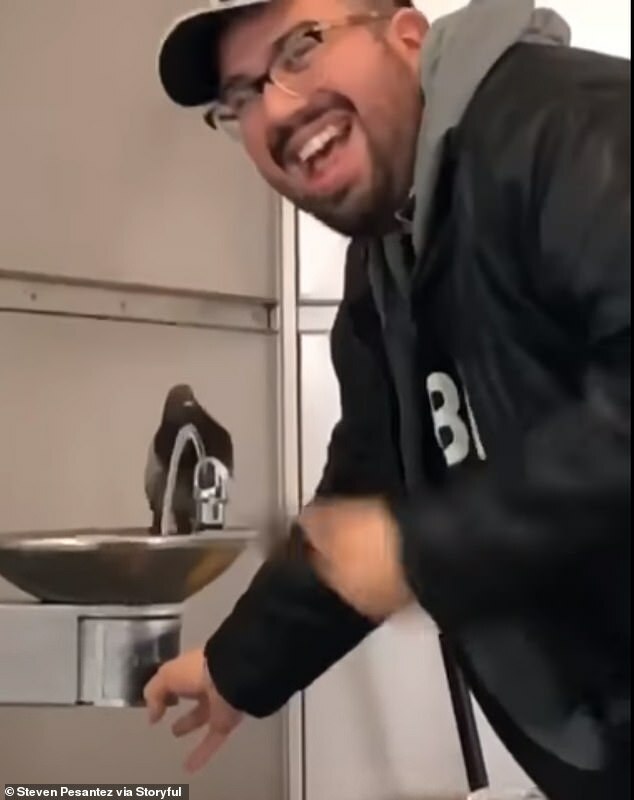 Although Pesantez was extremely close to the bird as he pushed the button for water, the bird wasn’t scared away. After about 20 seconds of drinking from the fountain as well as washing its head, the the pigeon flew off. 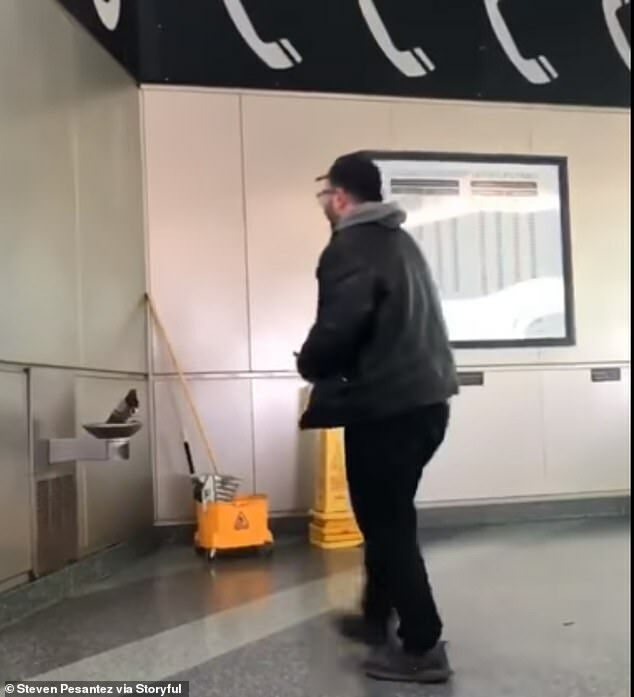 ‘It was an awesome moment helping the little guy get some water,’ he said to USA Today. 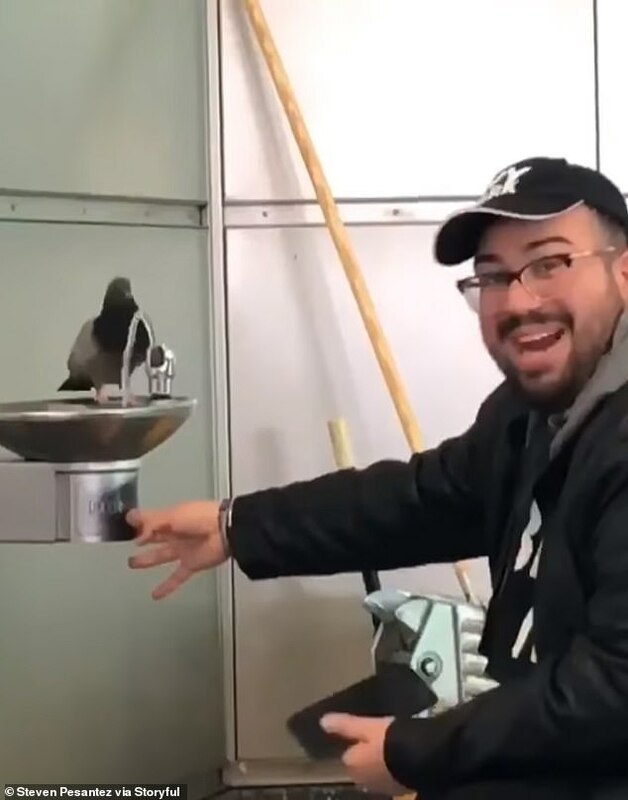 Meanwhile, reveling in his good deed, Pesantez has since changed his handle on Twitter to ‘Steve the pigeon whisperer’.